My name is Nancy Gustafson and my mother had advanced dementia. We all understand how dementia and Alzheimer’s can interfere with so many different functions that we all take for granted, including a person’s ability to communicate. To me, this is perhaps the worst aspect of this dreaded disease: when we see our loved one unable to connect with others, unable to carry on a conversation, looking so lost within themselves. 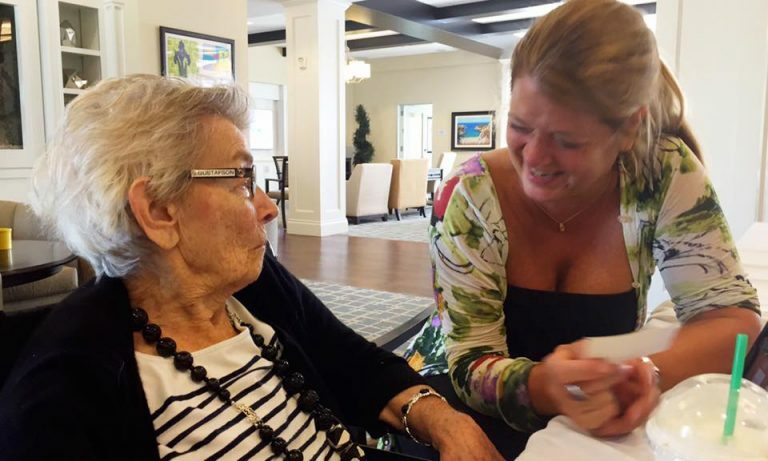 One day in October 2014, when I was visiting my mother in her Memory Care unit in Costa Mesa, CA, I was saddened enormously by how quickly her health declined. She was sitting in a wheelchair, unable to recognize me and unable to join in any type of conversation. She looked so lost … lost within herself, unable to collect or express her thoughts or put two words together. It broke my heart. So, I decided to try to get her to sing with me. I started playing the piano. The piano was never one of my strong suits - but I tried my hand at some Christmas carols. Mom slowly started singing along … notwithstanding my piano playing. After about 15 minutes of playing, I turned to look at her and she said, "You know that's not very good." I nearly cried I was so happy. Mom was actually expressing a thought. And an honest one at that! I laughed with her and told her that if we improved enough that she and I could sing in the shopping malls at Christmas time and earn some money. She replied without missing a beat, "Yeah, the Gustafson family singers". It was at that moment that I knew what I had to do. I didn't want another day to pass where my mother and others like her sat in their rooms disconnected from the world around them, looking so terribly lost, depressed and frightened. 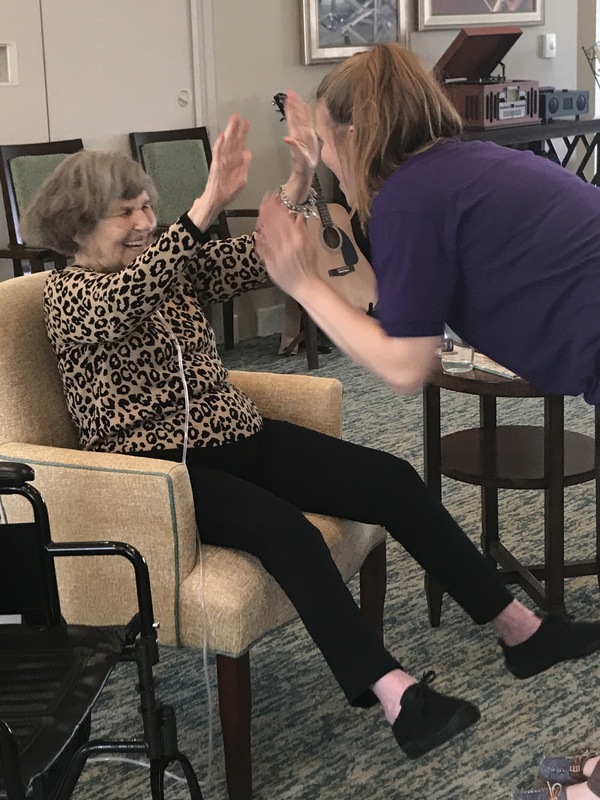 Music has the power to help people with memory loss to connect to each other, the world around them, and to the joy of music. I would create a program that harnesses that power and aims to improve the lives of people, like my mother, every day. There is currently no cure for Alzheimer’s. The people suffering from this disease are often cut off from the world around them, unsure of who or where they are. 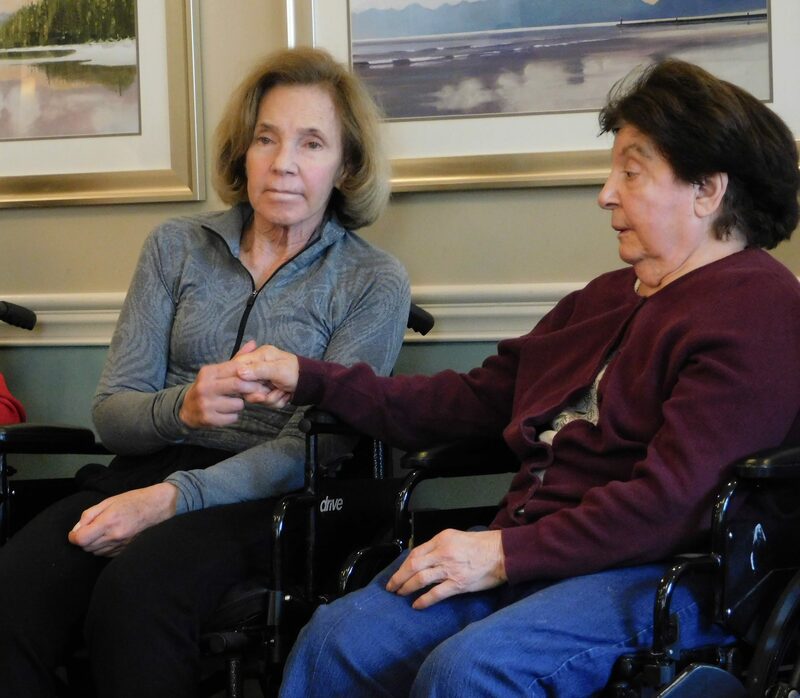 According to studies done in partnership with the Alzheimer’s Foundation of America, ‘when used appropriately, music can shift mood, manage stress-induced agitation, stimulate positive interactions, facilitate cognitive function, and coordinate motor movements.’ With this knowledge, we have been able to create a program that uses music to engage residents at a higher level than a standard sing-along. Since our first programs in three Chicago suburbs in 2015, Songs by Heart has expanded to reach over 40 memory loss communities across the country. Our goal is to use the power of music to improve the quality of life for persons with memory loss in all 50 states -- and beyond!